Customer expectations are changing the landscape and redefining the way organizations function and deliver goods and services. Organisations today need new avenues, that help create value through service differentiation, and in logistics, it is a point of delivery that is a magical moment to create the difference. Today’s tech-savvy customers simply expect more as they make more purchases - both offline and online. With evolving customer expectations, a smooth last mile experience is imperative in order to ensure brand loyalty. A product journey faces constant movement and activity, and each step holds the potential for delays, wasted money, and errors. The complexities of the last mile make the odds against fulfilling a perfect order overwhelming. Perfect orders are the ultimate measure of customer satisfaction. Perfect orders are the percentage of orders delivered to the right place, with the right product, at the right time, in the right condition, in the right package, in the right quantity, with the right documentation, to the right customer, with the correct invoice. Failure to meet any of these conditions results in a less than perfect order. According to a recent survey conducted, only 84% of all orders can be termed as perfect orders. Achieving the perfect order mark helps in reducing cost as a wrong/imperfect shipping can lead to incurring of physical cost to fix the error (labor, replacement, refund etc), penalties and revenue loss (loss of customer and loss of sales etc). The ability to have real-time access to perfect order status comes from ePod. Electronic proof of delivery helps businesses by - increasing productivity, improving customer experience and reducing risk. Consider the two instances, one from an operations perspective and the other from customer experience perspective. Once the delivery personnel attempts for delivery at the customer location and comes back, he scans the run sheets, prepares a detailed report on the cash reconciliation and analytics. The proof of delivery and the cash reconciliation reports generated at the end of the day reflect the work that has been done and the rescheduled deliveries. Sounds realistic in the case of a delivery personnel right? 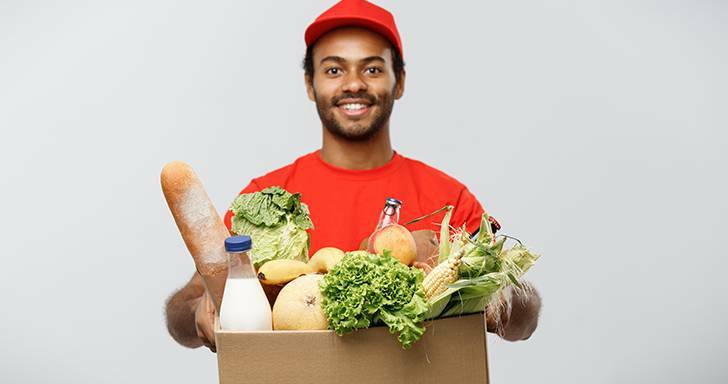 Well, what if the company has hundreds of the delivery personnel attending thousands of customers all together to deliver happiness at the doorstep? Or what if the delivery personnel misses delivering a courier? In order to overcome the losses or the damage, logistics companies are adopting electronic proof of delivery (ePoD) that updates the system digitally, once the delivery is successful. Post successful delivery, the rider collects digital signature and feedback from the customer as proof of delivery. ePoD helps in reducing manual errors and unnecessary delays in information uploading prevent loss of information and provide real-time visibility. 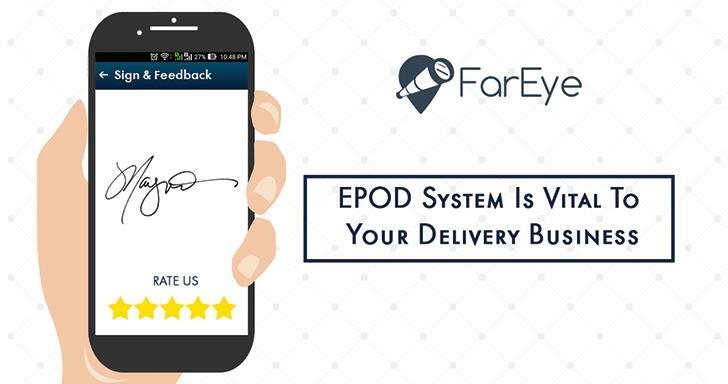 To provide smoother day-to-day operations and to get real-time visibility FarEye has introduced ePoD feature so that each and every transaction including successful delivery, customer rating & feedback, reasons for failed attempts can be updated on the servers real-time. As soon the data is fed on FarEye mobile dashboard, the manager can see the status of each and every job, in real-time. The reasons for the shift is to displace the traditional way of working and digitalize the operations in order to improve the effectiveness of the operations. ePoD saves time, prevents errors in reporting and reduces carbon footprints. Companies must adapt to smart ePoD systems in order to tackle the challengesofn daily life, real-time.